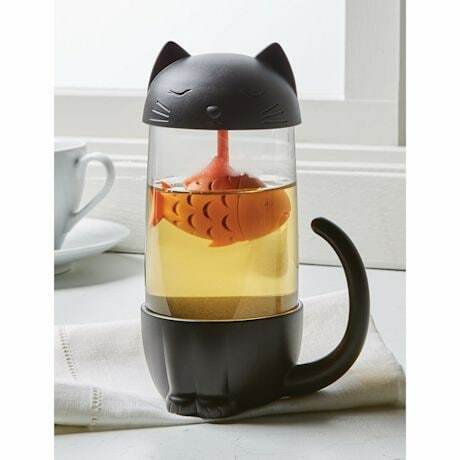 The purrfect cup of tea every time. 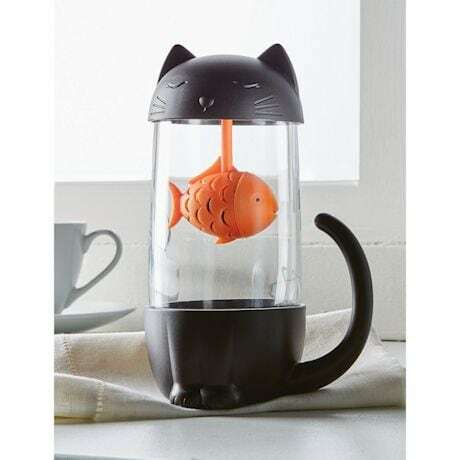 Fill the fish with loose tea and the carafe with hot water. To pour, hold the tail. Plastic, borosilicate glass, and PVC. 6" high. 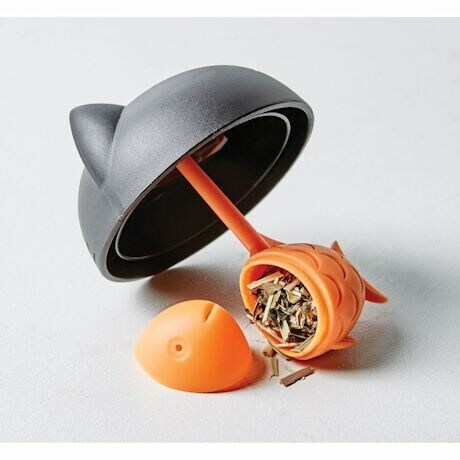 Holds 9½ oz. Hand wash. Do not microwave.